Stress has become really common these days. It has actually become a part of our daily life. Most people are suffering from different kinds of stress and it can really drive a person crazy. People are probably stressed out due to their everyday work since almost any kind of work can mentally stress you out, in any way or another. Due to this, getting rid of stress from one’s system is very important when it living to having a better and peaceful life. The most stressful place is your workplace. It demands a lot from you mentally and can totally drain your energy out! When the level of stress reaches a higher level, you might feel like you are losing your ability to work. You might feel really fatigued or too cranky to finish anything. To work efficiently, relaxation is very important. 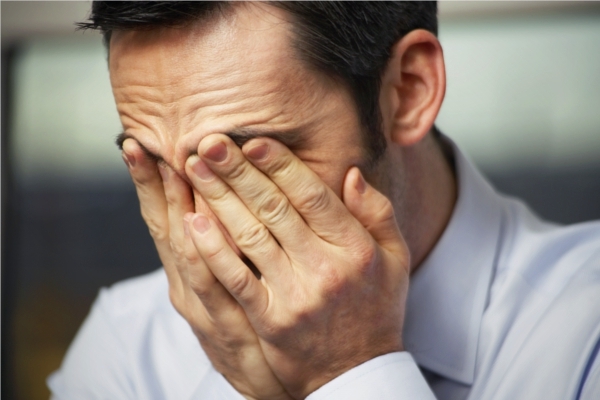 Work stress can also cause many problems like different heart complications. And we all know, you can’t afford to fall sick. For a better and healthier life, work stress should be addressed. The mind should be relaxed for it to work better. A person with a relaxed mind can work better than a person who is stressed out. There are thousands of ways to relax and to get rid of stress. Breathing deep for ten to twelve times can actually work on breaking stress. This can restore your inner balance, giving you immediate relief. The overwhelming feeling of stress needs to get out of the your mind, and this can be easily achieved by taking a deep breath. Inhaling and exhaling through the nose for five to ten seconds should be done on a daily basis to kick out stress and to make the mind peaceful. Eating badly has very harmful effects. With bad eating habits, you shouldn’t expect to feel anything but ‘under the weather’. A proper diet at a proper time should be followed for a better lifestyle. This also helps in relaxing the mind so that a person can feel really good and stress-free. Along with the eating habits, bad sleeping habits can also be a reason for stress. The quality of your routine plays very vital roles in developing stress. A working person should get at least a minimum of 8 hours of sleep a day. If this is not met, it results in drowsiness during work hours, dropping all your motivation and work ability. So, for a relaxed mind, proper sleep is must. Yoga is one of the most effective things for relaxing the mind. Yoga on a regular basis provides peace to the mind. So, if you are stressed out with work, try doing yoga regularly in the morning for the sake of relaxing your mind and making your life free of stress. Swimming is another very effective exercise for breaking stress. It can works in many ways. It can relax your mind very easily. A person swimming in cold water feels relaxed and refreshed by it. So, whenever you can, jump in a pool for an hour and let your worries float away from you–letting only peace and tranquility conquer your mind and heart! Running is the best way to release stress. When a person runs several miles, it helps in clear their mind. An added benefit–it’ll keep you in perfect shape as well! Running helps in developing the working ability of a person and it makes you tough and ever ready to accept whatever life throws at you without fear! A good massage can help a person in many ways. It can make you forget all his tensions and worries about his life, and make you feel that sweet bliss of your body finally getting the break it deserves. A massage can relax can unblock all the stress your body is feeling. When the body is relaxed, you will easily feel happy and stress-free. Massages can make the life of a person better to some extents as it has a temporary but it has a very soothing effect on people. Another great way to relieve yourself of stress is to take your mind off it. When you have had it with all the work, and feel fatigued, try something new. Go out with your friends or family and get wild! Explore new people, sit with them and mingle with them to help yourself relax and break away from your boring routine! For some people, monotonous routines take a huge toll on their work. Try taking a break from not only your work, but from your life. And what’s the best way to do that? Visit a resort to make your live exciting. Resorts are one of the best places for spending time with loved ones and for relaxation. There is peace all around leaving you feeling refreshed. Apart from that, a person gets some time to spend for himself or with his family or friends. Visiting resorts can be really very enjoyable. One of the best resort people can visit for the sake of relaxation as well as enjoyment is the Connecticut spa resorts. This is such a beautiful resort and is located at the heritage hotel. They provide high level of services for their customers so that they feel great while staying. The services that are available at the resort are facials, body treatments, massage therapy, manicures, pedicures, waxing, nail enhancements and Jane Iredale mineral makeup. Spa facilities are also available here. Along with this, there are also a couple of packages that are available. In short, this is one of the best places for people who wish to break away from their normal stressful lives. Think about yourself and use these effective techniques to relieve yourself from stress and worry! Arnold Crew is a freelance writer who is keen about traveling, recreation spots, vacation destinations and travel guides. He also writes for Foxwoods Resort; follow them on Twitter and Facebook.